Tiger Bailey Music is a professional A & R company that provides personal representation for artists of all music genres. 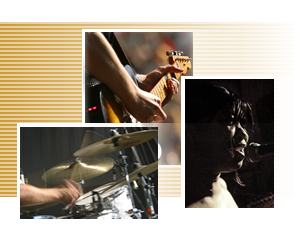 Our team consists of focused, well-seasoned experts with extensive backgrounds in the music industry. We have numerous contacts with Major Record Labels and Talent Agencies who are continuously requesting the material of “star” talent. The founder, Tiger Bailey, has over 15 years of hands-on experience in the business, and has worked on various recording projects throughout the U.S. He is also a professional guitarist and bandleader, having toured with many successful acts, both nationally and overseas. Why do you need an A&R representative? Because most record labels do not accept unsolicited material. In most cases, in order to get your music heard, you must be represented by a company that is well known to the music industry. If the record company indeed has an interest in you, your chances for being signed are much better when well represented. Most unsigned and aspiring artist or musicians spend a lot of time and money developing a demo that is never truly heard by top music executives. As your personal artist representative, we will extensively review your material, advise, showcase and aggressively shop your Demo/Promo directly to the music industry. As an added bonus, once contracted with us all artists will automatically be displayed on our website. Being represented by us and showcased on our site will allow you the opportunity to have your skills displayed immediately online and will give you the ease knowing that your material is out there and will be noticed. Since top music executive visit our site often, your material will be readily available whenever they are requesting it. Showcasing will also give you the chance to be viewed by the general public as well as all other interested parties; giving you the additional exposure needed to kick-start a great career. If this sounds like what you are looking for click here. If you already have representation and would like to be showcased only click here.